Tired of Our Broken Political System? Take it to Court! By Professor Lynn Morski, M.D., Esq. Let’s have a little chat about politics. No, not about how we’re all so divided. And not about how we should all try to get along. Let’s talk about how the whole system needs an overhaul. See, while academics quibble over whether our country is a ‘democracy’ or a ‘republic’, we can all agree that the political system in the United States is supposed to represent the people. Who does it represent? The establishment: the wealthy and powerful people who make the rules the rest of us have to abide by. And what is often the last line of defense the average American has against the establishment? The vote? No. The legal system. First, let me explain a little more about the problem. You see, the current system was designed by those in power to ensure that they remain in power. On the campaign trail, Senator Bernie Sanders pointed out that the establishment often finds ways to pit groups against each other – whether it be race, class, gender, or even political ideology – as a way to distract the masses while the establishment elites stealthily go about making the rules that will keep them in power. Even several GOP candidates referred to the entire process being ‘rigged for the rich.’ And they were right – the real divide in this country isn’t Republican versus Democrat or Conservative versus Liberal, it’s those with money and power versus the rest of us. The two dominant political parties, the Democratic Party and the Republican Party, are prime examples of the elite establishment. They profess to be the champions of democracy, but do they actually have an interest in making sure every voice is heard? Quite the contrary. The parties are private corporations with their own agenda, and their interests lie in protecting only the voices that advance that agenda. Look at the California presidential primary process. Despite the California Constitution calling for an open presidential primary, where voters registered in any or no party can vote in any party’s primary, the state conducts a semi-closed primary in which the parties get to decide who can vote in their primary elections. For example, in 2016 the GOP decided only those registered Republican could vote in their primary, and the Democrats allowed only those registered Democrat or No Party Preference (NPP). If that weren’t confusing enough, No Party Preference voters had to know to request something called a “crossover ballot” if they wanted to vote in one of the party primaries that allowed NPP voters to participate; otherwise, they got a ballot with zero presidential candidates on it. Now who does this benefit? Well by letting only members of their own parties vote in the primary, the establishment prevents independent minded voters from advancing candidates who may not toe the party line as closely as the party’s chosen candidate. For example, both Donald Trump and Bernie Sanders were anti-establishment candidates with many independent supporters, so it would be to the partisan establishment’s advantage to prevent those supporters from having a voice in who advanced to the general election. And who is responsible for conducting the primaries in a semi-closed fashion? Elected officials like the Secretary of State – who himself is a member of the Democratic Party. Similarly there are court cases across the nation where both the Democratic and Republican Parties are suing to close otherwise open primaries, so this issue is not specific to just one party. Both of the dominant parties are fully ingrained parts of the establishment, and time after time they will act to stifle the voice of independent voters or any other voters who threaten their power. This is where you and the legal system come in. Soon you’ll have a law degree, and while you’ve probably heard of criminal defense law, immigration law, family law, etc., you may not have heard about a field of law that can effect change in the uneven balance of power between the people and the establishment: election law. There are constitutional protections that aim to ensure our fundamental right to vote is protected, and it often takes using the legal system to finally overcome the powerful establishment and give the common people back their voice. Let me give you an example of election law in action. Recently a lawsuit was brought against the Commission on Presidential Debates (CPD). CPD is the organization which sponsors the presidential debates, and their current rules only allow candidates to participate in those debates if they are polling at 15% nationally. Well as you can imagine, it’s hard to get the name and policy recognition required to reach that 15% threshold if you aren’t allowed to participate in the debates, which has kept third party candidates off the debate stage since the rule was established. And who are the co-chairmen of the CPD? Until last week, one of the chairs was President Clinton’s former press secretary, and the other is a previous chairman of the Republican National Committee. See the issue here? Partisan establishment politicians are the ones setting the rules that make it nearly impossible for third party candidates to be serious contenders for the White House. The lawsuit against the CPD pointed out that the Commission’s criteria for participation in the debates violated the Federal Election Commission (FEC) rule that debate-sponsoring organizations be non-partisan, as the regulations clearly favored the two major parties. 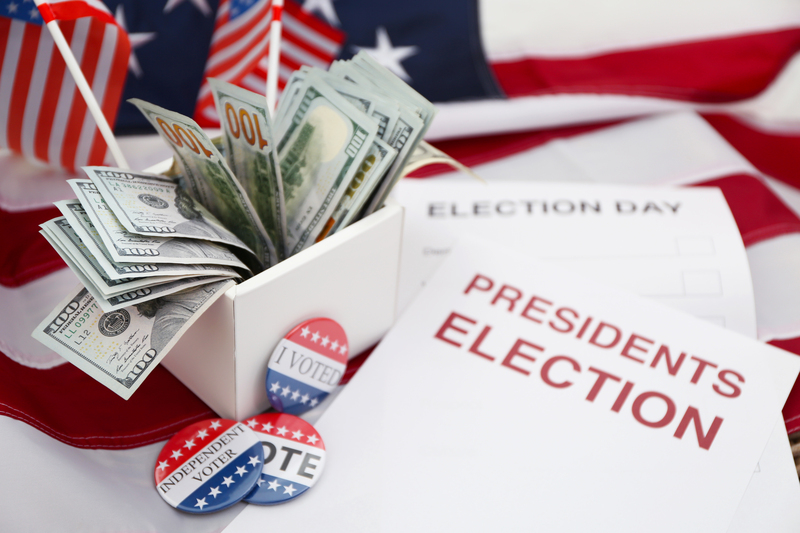 It also alleged that the FEC requirement that debate participation criteria be objective was clearly violated by the CPD 15% rule that favored the two major parties’ candidates. Thankfully, the judge agreed. Because of this lawsuit, the FEC and CPD now have to reassess their rules and make them fairer to third party candidates. This is the kind of influence you can have through election law. So if you believe that a representative democracy should speak for all of the people and not just the establishment – fantastic! Because soon you’ll be one of the privileged few who has a set of skills and credentials that can be used to effect real change through the legal system. Our elected officials will only truly represent the people when the people get to choose those officials without the undue influence of the party elites. The elites aren’t going to hand over their power, and average citizens don’t have the tools to take back their power that you will. So join the fight. Change the political system.